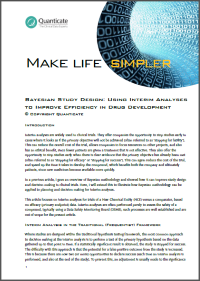 The rationale for using a Bayesian approach to interim analyses is explained. The formulation of interim decision rules on the basis of posterior and predictive probability is introduced and evaluated using a case study. The value of simulations are included to assess the merits of the different decision rules and the relative timing of interim analyses is illustrated.